London’s drinking scene is one of the best in the world. 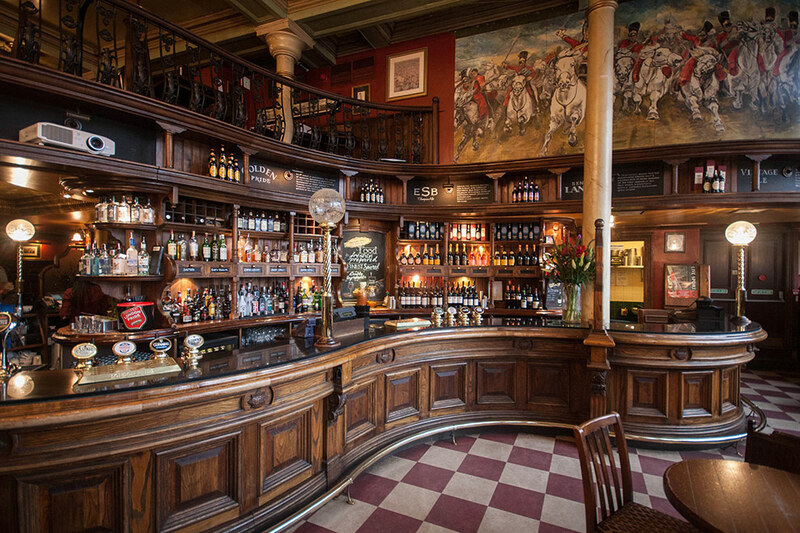 Pubs in London are an essential caratteristique in English culture and during your stay in London you shouldn’t miss out going to visit at least one of them! Some of them are amazing so ancient with a great atmosphere. 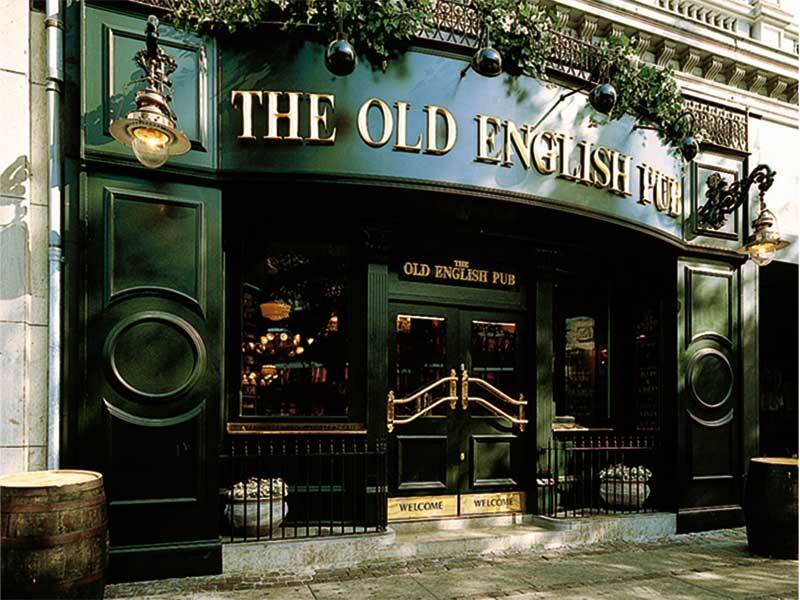 The pub’s history goes back to the medieval days but unfortunately you will find only pubs that were built after 1666.In fact, that was the year of the great fire of London wich destroyed the city and its magnificient buildings! Renowned the world over, the great British pub is not just a place to drink beer, wine, cider or even something a little bit stronger, it is a unique social centre, very often the focus of community life in villages, towns and cities throughout the length and breadth of the country. It was an invading Roman army that first brought Roman roads, Roman towns and Roman pubs known as tabernae to these shores in 43 AD. Such tabernae, or shops that sold wine, were quickly built alongside Roman roads and in towns to help quench the thirst of the legionary troops. Ale however was the native British brew, and it appears that these tabernae quickly adapted to provide the locals with their favourite tipple, and the word eventually became corrupted to tavern. 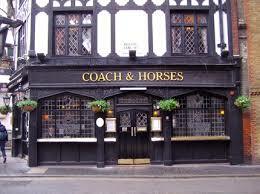 Today, alehouse are still social hubs in which alcohol is consumed and friends are made. 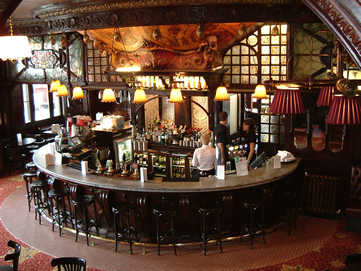 Some pubs also serve meals, which are usually hearty, tasty dishes that are simple and filling. The pub culture dictates that there are invariably, locals. These ones usually live and / or work close to the pub and frequent it, often sticking to the same drink each time they come. The pub is owned by a landlord. Some pubs offer entertainment, invariably keeping its drinkers there for longer. This may include something simple, such as a television that shows sports, or something more exciting, like a darts board or a pool table. Some even have stand-up comedy performances, karaoke or strip shows. Beer is the most commonly drunk beverage at pubs. 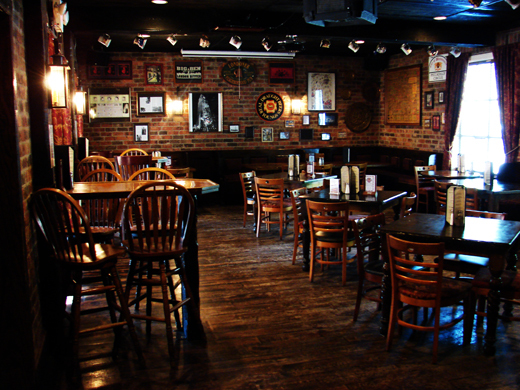 Therefore, they are usually well-stocked with many different brands and types of beer, both bottled and on tap. In addition to ale, pubs also stock various wines as well as hard tack, such as brandy, whiskey, gin, cane, and so on. By law, pubs can only open at 11h00 and can only serve drinks until 23h00 from Monday to Saturday and until 22h30 on Sunday. Nobody under the age of 18 is allowed to consume alcohol in England and such ones will not be served.